engineering firm with the necessary experience to work on YOUR project located anywhere in the USA and the world. 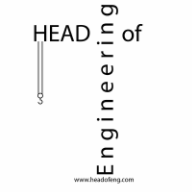 HEAD of Engineering staff has provided structural engineering services since 1977 while engaged with several high profile engineering firms in the design, evaluation and retrofit of structures. Having engaged in many Forensic investigations of distressed buildings and structures over the last 35+ years, we have gained increased knowledge in how buildings behave under stress, up to and beyond failure, enabling us to better understand building behavior and gaining insight into better and more cost effective design and identifying problems and solutions to those problems in the GMP, Design/Bid/Build and Design/Build delivery systems. Working on large structural projects we have also frequently been engaged in the forensics of distressed structures during construction due to contractor sequencing errors, design flaws, low strength materials and building overloads making HEAD of Engineering’s experience relevant for every building type. Although not generally classified as “forensic engineering” all renovation and retrofit projects also require a forensic investigation of the existing condition of the building. We have extensive experience and proficiency in the forensic investigation of distressed and damaged buildings and the engineering analysis, design and project/construction of structural systems including design for gravity, wind, seismic and snow loads, progressive collapse, blast loads and other security considerations.